This picture was taken in Basantapur on the day of the Newari New Year. Newars are said to be one of the oldest inhabitants of the Kathmandu Valley. Many immigrants that arrived at different periods in the valley have adopted the Newari language and customs. Newars are of Indo-Aryan and Tibeto-Burman ethnicities, and are a multi-ethnic, linguistic and cultural community. Scholars have described the Newars as being a nation on its own. 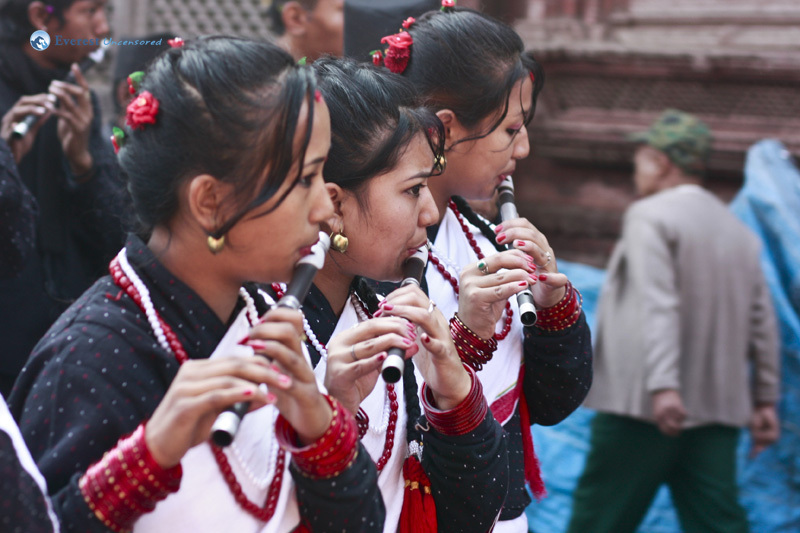 Newari New Year celebrations consist of cultural processions, pageants, rallies and functions and is a very important day for the Newar community.